“Ferrari road cars all started here.” Peter Holloway is a Ferrari fanatic who is incredibly proud of his perfectly beautiful 166 Inter. 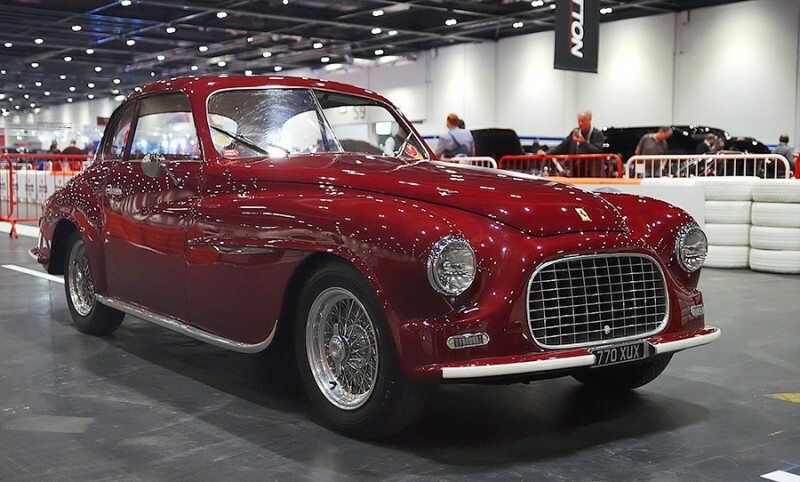 Launched in 1948, it was Ferrari’s very first grand touring road car, a coupe developed to take the increasingly famous marque’s competition success from racetrack to road. Ferrari had, by then, already achieved numerous high-profile racing victories; it was the ideal time to build upon them with a new sports car for the street. The engine, the heart of all Ferraris, was a race-derived 2.0-litre V12, which had proven very successful in sports car and Formula Two racing. In road-going guise, it produced 110 horsepower, enough for a top speed of over 100mph (170km/h) – a thrilling figure for the late 1940s. The engine was even paired with a five-speed gearbox. “This was a real rarity; even many competition cars only had four speeds. It helped grow the car’s exotic appeal,” said Peter. The beautiful bodywork was built by Touring of Milan, atop a rolling chassis from Ferrari in Maranello. 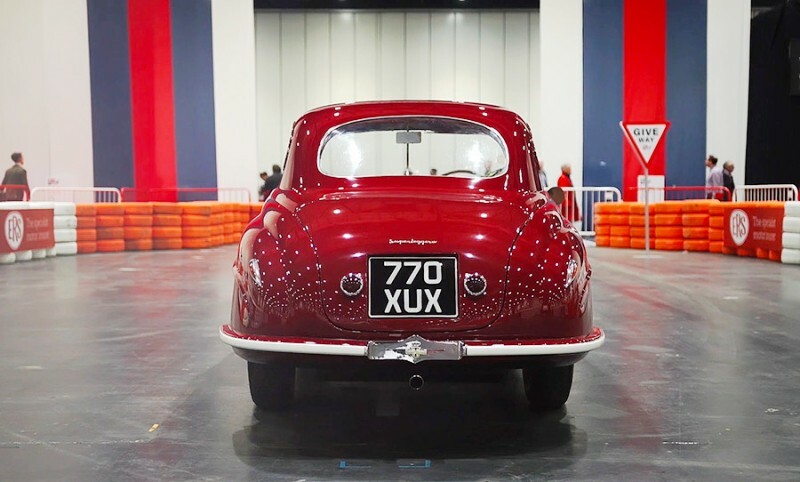 We spoke to Peter at the London Classic Car Show, at which he was exhibiting his car, and driving it in the live showcase runs. “I bought her in 2014 and she has never sat unused for long. I believe cars are built to be driven: they thrive upon it, and so she is no garage queen. I’ve previously toured Europe in her, and she proved such a wonderful companion, I’m doing same with her this year, too.” A marshal interrupts us – Peter is up again for another run in front of the crowds; he jumps into the 166 Inter, starts it up with puff of exhaust smoke and a gloriously high-pitched howl, and is away. Every smartphone and camera in the hall is quickly pointed at him. The Ferrari is the star. It is almost time to depart. The show is about to close, and we have spoken for hours. And still, Peter is showing me details, pointing out little features Harry the videographer absolutely must capture. I didn’t dream I’d be able to get so close and hands-on with such an amazing piece of Ferrari history; neither can the crowds Peter is thrilling with every run. “I could just have come for the opening day here in London, and left her on a stand for the rest of the event,” he tells us. 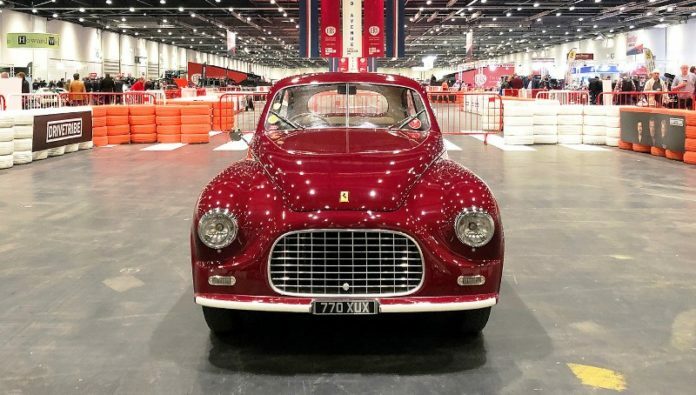 “Not a chance: I’m here every day, and plan to do as many runs as I can.” The Ferrari story started with this 166 Inter and, seven decades on, its current owner is making sure as many enthusiasts as possible get to enjoy it.